Dimensions : Ø 15 x H 18,9 cm - Cable : L 300 cm max. 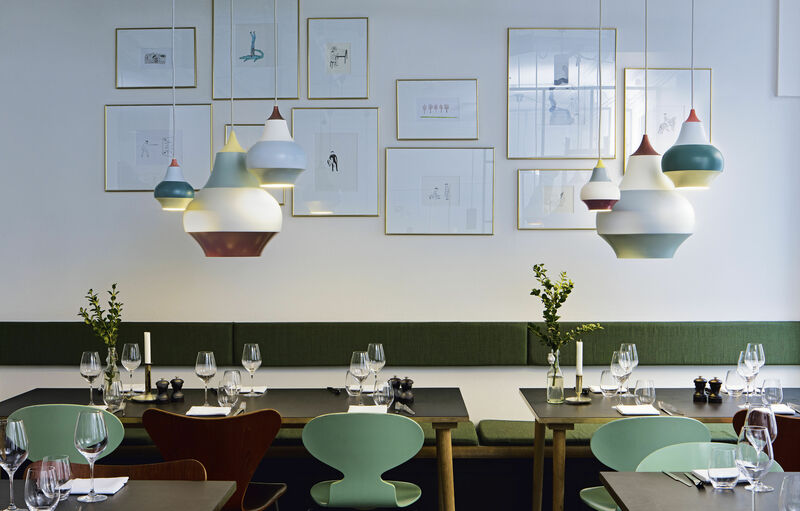 Louis Poulsen is launching a new series of lamps with a difference – a series created in cooperation with the Swedish designer and graphic artist Clara von Zweigbergk. 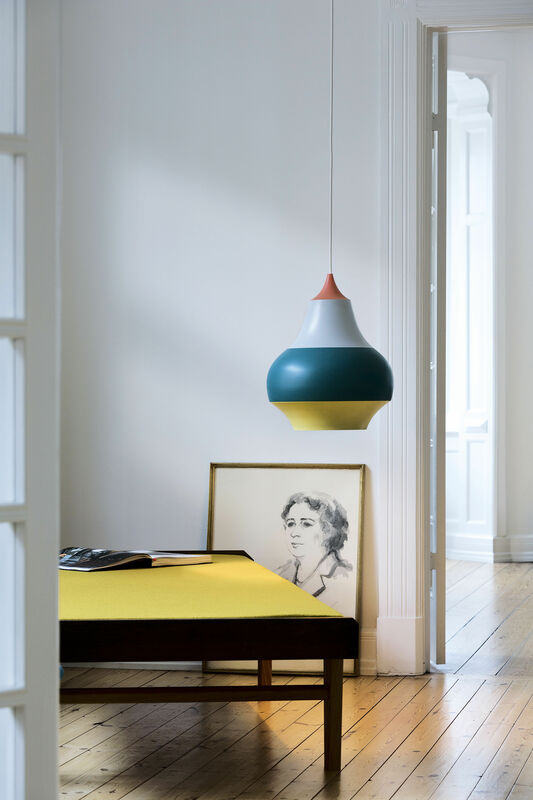 “I don't mind at all if – sitting in their kitchens – people look up and start thinking hot-air balloons and carousels,” says Clara von Zweigbergk when asked to describe her new lamp series. 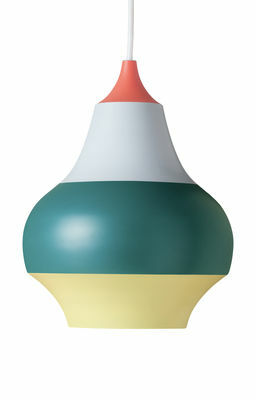 Named CIRQUE, the series was developed in cooperation with Louis Poulsen, inspired by a trip to Tivoli in Copenhagen. Tivoli is full of whirls and twirls – carousels, candyfloss makers and wheels of fortune. When an object spins round very fast, the colours merge and end up being perceived as horizontal bands of colour. 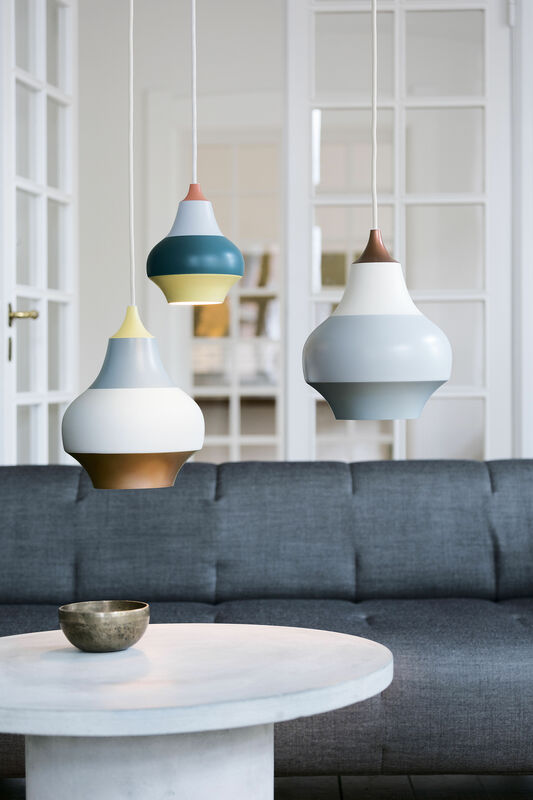 All these impressions resulted in a vibrant design which unites unconventional colours and forms in a series of truly innovative lamps which will add both edge and charisma to their surroundings – both in daylight and when lit. The new lamp series is equally suited for restaurants and bars, kitchens and dining rooms. A diffuse, downward light is reflected from the matt, white inside of the lamp, which is glare-free when hung at normal height.